June 5th, 2018 marks the 51st anniversary of the Israeli military occupation of Palestinian land in West Bank, Gaza Strip, and East Jerusalem. Since June 5th, 1967, Israel’s unlawful practices and blatant violations have been targeting Palestinian rights of freedom and independence. Military restrictions have been placed on millions of Palestinian citizens as Israel continues to confiscate Palestinian land, and to plunder Palestinian natural resources. For fifty-one years the Israeli settlement’s unlawful program has become entrenched heavily through the demolitions of 50,000 Palestinian homes and structures, the confiscation of 6,241km2and the displacement of 750,000 Palestinian citizens who have been replaced with 636,452 illegal settlers living in 425 settlements in the West Bank and East Jerusalem. In December 2017, the US President recognized the Occupied Jerusalem as the capital of Israel which is considered by international law an occupying power. This recognition divides the State of Palestine and greatly harms the Palestinian legitimate aspirations for an independent and sovereign state along with the 1967 borders. Moreover, this recognition severely ruins the actualization of the two-state solution and the building of peace in the region. Above all this, the Trump administration had denied our citizens their rights to international protection. The Israeli occupation has been imposing severe restrictions on the geopolitical and economic foundations of the future Palestinian state. Such restrictions significantly limit the potentials and the future growth of Palestinian institutions. Israel, for example, restricts Palestinian access to natural resources and controls Palestinian imports and exports. It also hinders the growth of Palestinian industries and other economic sectors, thus leading to one of the highest unemployment rates in the world (46.6% in the Gaza Strip and 20% in West Bank). Worse still, Israel continues to impose restrictions on the development of Palestinian infrastructure and other major human development activities, especially in Area C of West Bank. 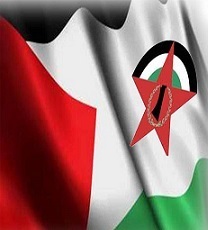 Prime Minister Dr. Rami Hamdallah said at the launching of the 2017-2022 Palestine National Policy Agenda that if Israel allows the Palestinians to benefit from Area C, which comprises about 63% of the West Bank, this would bring in $3.5 billion annually to the Palestinians. This is confirmed by other World Bank reports.Facing the Israeli unlawful actions and the decrease in international funding by70%, the Palestinian government works diligently with its partners to shift from merely building state institutions to ensuring that those institutions optimally support and put our citizens first. This is done through supporting resilience and providing humanitarian and developmental assistance to Palestinian citizens who suffer from the actions of Israeli occupation. The government has been successful in maintaining salary payment regularly for the past years, and has also reduced its deficit by 21.8%, thus contributing to the stability of both public and private institutions. The Palestinian government has created the necessary political, economic, and legal environments, thus asserting its firm commitment for the realization of the two-state solution. International donors and organizations have affirmed the Palestinian readiness for statehood. However, the Palestinian government cannot become a free state while the Israeli military occupation is harshly blocking the Palestinian national aspirations of self-determination, and hindering the transformation of Palestinian institutions into those of an independent state. 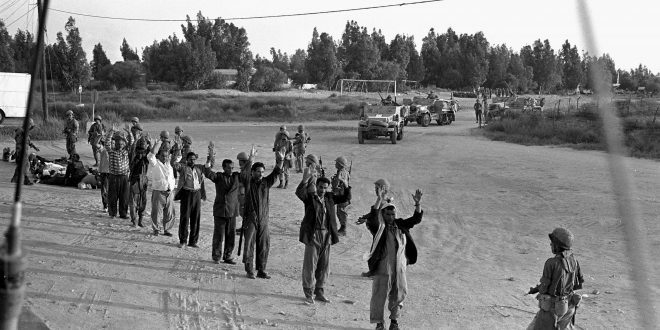 Marking the 51st anniversary of the Israeli military occupation, many Palestinian generations have experienced the illegal occupation with all its harsh actions and practices. 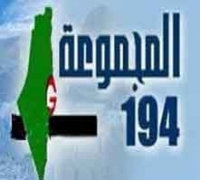 This injustice violates the UN resolutions of 242, 253, 267, 194, 298, 476, 478, and 2334 and denies the Palestinian right of statehood along the 1967 borders. The time has come for the international community to support President Abbas’s peace initiative for holding an International Peace Conference so that the longest military occupation in modern history with its denial of human rights comes to an end. Showing Palestinian determination for statehood, peace, and freedom, Prime Minister Dr. Hamdallah says that we will continue to create ways to engage our citizens until the establishment of a viable, united, and independent Palestinian state. This anniversary is an opportunity to assert that the Palestinian people and government are very determined and resolute to fulfill their national aspirations, and join the community of free and democratic nations.